What's the Difference between a Buyer’s Market and a Seller’s Market? I had someone ask me a few days ago, “What's the difference in a buyer’s market and a seller’s market”? That’s a really good question because the type of market you are in has a big impact on your business. One type of market indicates you have an abundant supply of houses which in most cases translates into good deals for a buyer. The other one indicates you have low inventory or a lot less properties for sale. In this case the seller has more leverage. Whether this is good or bad for you and your business depends on whether you are the buyer or the seller in a transaction. So exactly what's the difference between a buyer's market and a seller's market? 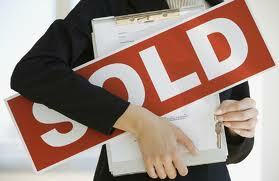 Real estate investors love it when they are in a buyer’s market. It has been a buyer’s market for the past few years. Deals were plentiful and prices were cheap. It was in fact a wholesaler’s dream. We could buy houses at really good prices and still pass them on to our rehabbers and landlord buyers at a great price. In this type of market, the buyer is also always in the best position to negotiate better terms and things like closing costs etc. But the “times are changing” as they say. In a seller’s market there are fewer houses “in inventory” or available to be sold. This always translates into higher prices for sellers. They have the “home court advantage” so to speak. In a seller’s market sellers are less likely to take price cuts and pay for things like closing costs and “extra’s” the buyers might ask for. If you are a buyer in a seller’s market, it’s smart to be prepared to pay your own closing costs and be willing to make some repairs yourself. In some areas with low inventory folks are seeing the return of multiple offers on their property. Once again that’s great for the seller but not so great if you are the buyer. “I’ve made money when the interest rates were low, and I’ve also made money when the interest rates topped 14%. You just have to adjust your business model to fit the market”. Knowing the difference between a buyer's market and a seller's market and which type of market you are in will impact the price you pay for a house and the type of concessions a buyer might ask for. In a buyer’s market you might have to factor in the fact that a retail buyer may ask for closing costs and things like a home warranty. Since there will be many houses on the market, you will need to be prepared to make some concessions. In a seller’s market when you are the seller, you have a much better chance for getting a full price offer and making fewer concessions simply because there are fewer houses for sale. The takeaway here is that it is possible to make money no matter what type of market you are in so long as you have an understanding of the fundamental differences of each one. Happy investing!